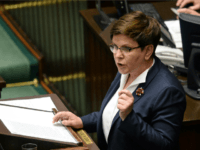 Lawmakers in Poland’s lower house of parliament have approved a “maternal pension” for women who have raised four or more children and who deserve “gratitude and respect” for their contribution to society. 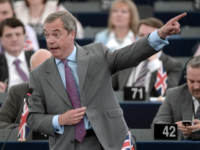 Hungarian Prime Minister Viktor Orbán has welcomed the new alliance between Italian populist Interior Minister Matteo Salvini and Poland’s conservative Law and Justice Party (PiS). 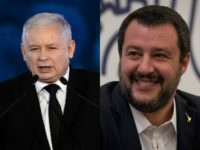 Italian populist Interior Minister Matteo Salvini is set to meet with Polish Law and Justice (PiS) Party leader Jarosław Kaczyński as Italian mayors are divided on his migration and security decree. 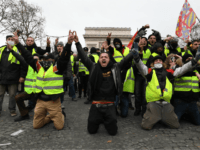 A Polish MEP belonging to the ruling Law and Justice (PiS) party requested a debate in the European Parliament on what he labelled a “crisis” of democracy in France following the Gilets Jaunes (Yellow Vests) protests. 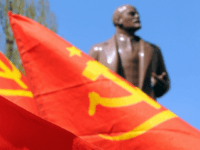 Populist sentiment poses a “fundamental threat” to the EU, European Council president Donald Tusk has said, proclaiming next year’s elections a battle between pro-sovereignty “brownshirts” and plans for a globalist superstate ruled from Brussels. 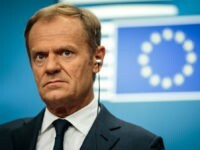 President of the European Council Donald Tusk has said that Poland could leave the European Union if it continues to clash with the bloc over migrants and judicial reform. 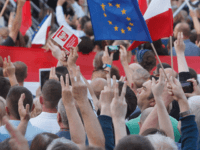 Poland’s electoral commission says the ruling populist party, Law and Justice, has won 254 seats in regional councils in local elections last weekend, with 194 going to the key opposition coalition. 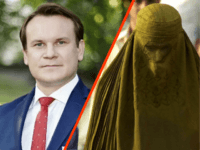 Polish lawmaker Dominik Tarczyński has waded into the European burqa debate, saying it should be banned partly for security reasons, and partly to make it clear to Islamic radicals that they cannot demand more rights in Europe than Europeans have in Saudi Arabia. 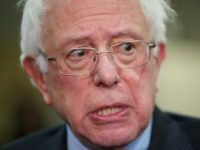 Mateusz Morawiecki, the new Prime Minister of Poland for the conservative-nationalist Law and Justice Party government, has laid out a Trump-style programme rejecting both socialism and globalist neoliberalism. 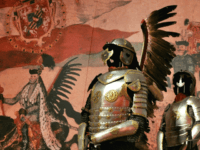 European Commission First Vice-president Frans Timmermans has confirmed the EU executive is seeking to impose unprecedented sanctions on conservative Poland. 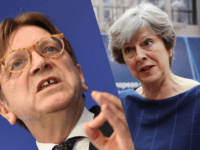 As Theresa May prepares to visit Poland and the European Commission prepares to launch sanctions against it, the European Parliament’s chosen Brexit negotiator is demanding the Prime Minister condemn Warsaw to prove Britain’s loyalty to “EU values”. 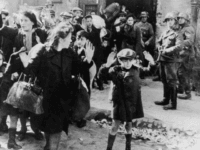 WARSAW, Poland (AP) — Polish lawmakers have overwhelmingly approved a bill changing the appointment process for the judicial panel that nominates judges, part of a broader overhaul of the country’s justice system. 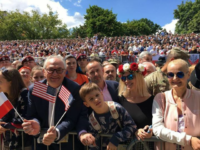 WARSAW, Poland (AP) — Poland’s prime minister-designate, Mateusz Morawiecki, says he dreams of Europe becoming “re-Christianised” and is defending the migration policies of his ruling party which have caused tensions with the European Union. 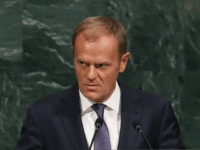 The President of the European Council, Donald Tusk, has launched an astonishing attack on the Polish government, calling his ability to act as an honest broker between EU member-states into question. 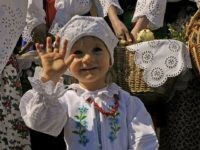 Poland has hit back after the European Parliament voted in support of launching sanctions against it. 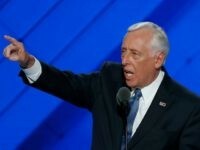 Both ruling parties in Hungary and Poland are seeing a surge in public backing following their sustained rejection of internationalist bodies’ pro-mass migration policies, signalling citizens prefer governments that stand by conservative values and protect their nations’ borders. 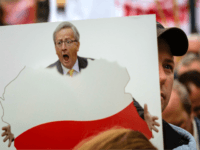 A senior eurocrat has accused Poland of “abdicating” its leading role in Central Europe by refusing to bend to the EU’s demands on migrant quotas and internal judicial reforms, and warned the country poses a greater existential threat to the bloc than Brexit. 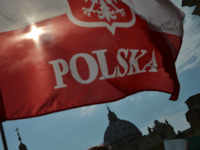 WARSAW, Poland (AP) — Poland’s Foreign Ministry says the nation’s permanent representative to the European Union has stepped down and the resignation has been accepted. 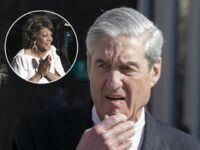 WARSAW, Poland (AP) — Polish investigators questioned Donald Tusk, president of the European Council, for more than eight hours Thursday as a witness in an investigation into the 2010 plane crash that killed President Lech Kaczynski — a case widely seen as an attempt to discredit and humiliate the EU leader by his longtime rival. 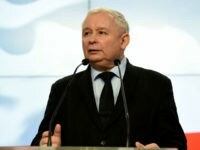 Chairman of Poland’s ruling Law and Justice (PiS) party Jarosław Kaczyński has vowed to ignore the European Union’s threats and the veto of Polish President Andrzej Duda and push forward the controversial judicial reforms that have sparked protests across the country. 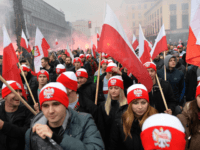 A senior Polish government spokesman has accused the protesters blocking streets in Warsaw Thursday night and Friday of not respecting democracy, remarking the Law and Justice (PiS) government was elected with a mandate to enact the very reforms being protested. 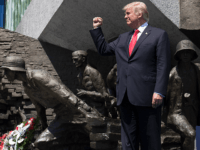 President Trump was given a rapturous welcome as he arrived in Poland, with huge crowds turning out to cheer his public address at the site of the Warsaw Uprising memorial in Warsaw. 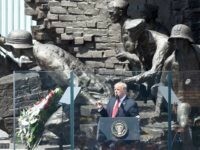 President Donald J. Trump has said the West faces an existential challenge to “defend our civilisation”, hailing Poland as an example of a nation ready to defend itself and its values. 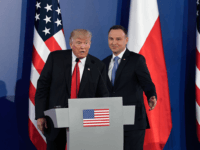 President Donald Trump has praised Poland for their commitment to NATO spending, holding them up as an example to other members who despite years of opportunity have failed to meet their treaty obligations in a joint press conference in Warsaw, Poland Thursday. 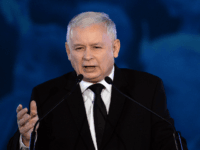 The chairman of Poland’s ruling Law and Justice Party (PiS) delivered a message of defiance to the European Union at his party’s annual conference. 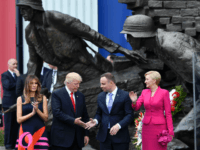 WARSAW, Poland (AP) — Poland’s leading politician said Saturday that other European nations are envious that U.S. President Donald Trump is planning to visit Warsaw before a summit in Germany with other world leaders.